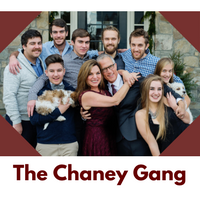 Bryan Chaney began his career in sales shortly after graduating from Penn State University in the mid 1980’s, first settling in Tulsa, Oklahoma selling bearings, gearboxes, motors, roller chain, and all kinds of other cool stuff that the oilfield uses. Over the years, Bryan honed his sales skills selling to larger and larger companies, becoming very skilled at developing business case-style selling. And a few other interesting companies. Bryan fulfilled his dream of owning his own business in the 1990’s, quitting his daytime job and owning a bicycle retail operation in Baltimore Maryland for about 8 years. Bryan was forced to close his booming business abruptly in 1998 due to repeated burglaries. It was this closure that may have saved his life and caused him to dive deep into his Christian faith. Around 2002, Bryan, his then-wife and 4 kids, joined a church in Frederick, Maryland with incredible, upbeat, loud music and state-of-the art sound equipment. Being the geek, audiophile, and music lover that he is, he immediately signed up to volunteer to be a sound engineer for the church (Damascus Road Community Church), and shortly thereafter was hired part-time as the Director of Worship Technologies. The sound was so good at the church that other churches asked him to come “fix” their sound systems. Around 2012, Bryan had to make the decision that no one ever wants to make: time to get a divorce after being married 23 years, 4 beautiful kids, a nice house in the suburbs, very involved in the community and a leader in the church. The divorce caused deep splits in mutual friends, was very contentious, expensive and damaging to the kids and close friends. Under duress, Bryan left his leadership position at the church, the church he was instrumental in helping to build, solely because of the divorce. In August 2015, Bryan met Charlotte Chaney, a Christian speaker and writer from Annapolis, going through an even more contentious divorce, also with 4 kids, leader in the church, also released from her leadership position in her church. Bryan and Charlotte fell in love in only a few weeks after meeting. They were ready to marry by November 2015. Only one problem: Charlotte had to finish the divorce process. Bryan coached Charlotte through her divorce, completing it in October of 2016. Charlotte and Bryan were married Thanksgiving day, 2016. There is indeed a God of second chances. Whether you are in a bad relationship just thinking about a divorce, in a divorce process already, or completed a divorce and are trying to get your new life going, you need a partner to help you through the rough spots. The partner probably should not be a friend, a relative, someone in your social circle and definitely not an attorney, therapist or pastor. You need a confidential, objective, 3rd party skilled in helping YOU find solutions that you feel good about. Bryan Chaney is the person to do that for you. 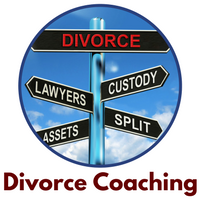 Divorce coaching is a recognized practice by the American Bar Association. 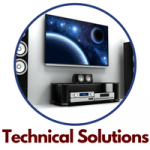 Leveraging Bryan’s vast experience in technology, Bryan can consult and advise on solving a range of technology in homes, houses of worship, commercial and non-profit organizations. Bryan is a highly skilled audio engineer with a great ear and can make bands sound fantastic whether they are a small bar band or a full band with background vocalists at a summer concert festival. Bryan also provides expertise in finding technology solutions that solve business problems in telephony, networking, information security, biometrics and more. Bryan has held several executive positions in marketing and sales. He can provide consulting services in these areas and is skilled in rolling out Salesforce.com and Dynamics CRM. Now that Bryan and Charlotte are in love with Frederick, Maryland, they want to enable more people to love the town as well. So, Bryan will have his Real Estate License by spring of 2017. 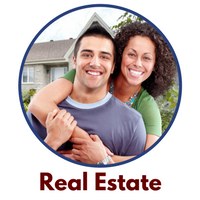 He will help others achieve their dream of owning or renting a home, or commercial properties in and around Frederick. Bryan and Charlotte will build a portfolio of rental properties in the Frederick area as well. 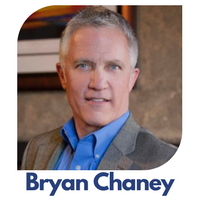 Functioning as the COO and CFO, Bryan is helping Charlotte build her business of speaking and writing books to help people rediscover their soul and achieve the potential God gave them through their gifts, desires, and abilities. 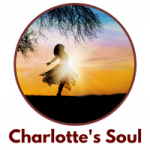 Charlotte wrote about overcoming stage 3A rectal cancer in a book called, “Heartbeats for Cancer.” She has two more ready to go in the areas of body image for women and divorce. There may be a movie on the horizon as well. We also have a passion for helping men and women in bad marriages with abuse find ways to get out of them and to help the church (all churches) better understand how to deal with these people and how not to treat divorcees as a “third rail”.